Is interactive documentary about letting a viewer choose their own adventure (Ted Biggs and Angad Bhall’s The Deeper They Bury Me), about making work that viewers provide input to (Kyle McDonald’s Exhausting a Crowd, Ross Goodwin’s word.camera), or about creating systems, such as games (Tracy Fullerton, Walden: A Game), that viewers can tell their own stories with? All of the above, it seems. And more: Virtual reality was the new toy. If you’re using virtual reality, have more than a gee-whiz reason. Being able to look around in the image still isn’t like being there (nausea is still an issue), and anyway being there isn’t any royal road to understanding. Sending viewers to virtual refugee camps or to a Liberian hospital where ebola was subdued (Gabo Arora and Chris Milk’s Waves of Grace) doesn’t necessarily make them any more empathetic than drawing a picture for them with words or photos or showing them a movie. The touching story of a survivor living with PTSD from a terrorist attack (Darren Emerson’s Witness 360: 7/7) isn’t discernably more touching for having strapped on the lunchbox-on-face VR equipment and been able to look around her bedroom. That doesn’t mean the stories weren’t well told and touching; both central characters and their narratives were compelling. But they would have been compelling without the VR. Leverage the capacities of the medium. A lovely animated VR work, Drawing Room, by Jan Rothuizen and Sara Kolster—winner of the Digital Storytelling award—does that with grace. Viewers got both to browse Rothuizen’s physical workspace at will and share his creative questions, and also go with him to dreamspace in the sky—all without nausea. Make something be at stake. Dries Depoorter’s Sheriff Software put viewers in the position of being snoops. It showcased publicly-available police webcam feeds, and allowed you to report crimes such as jaywalking. (I didn’t see anyone reporting a scofflaw.) Simply scanning the webcams was a chilling reminder of how pervasive and public such information is. Make the audience part of the event. Vigorous Twitter chatter raised questions that the hosts sometimes engaged. 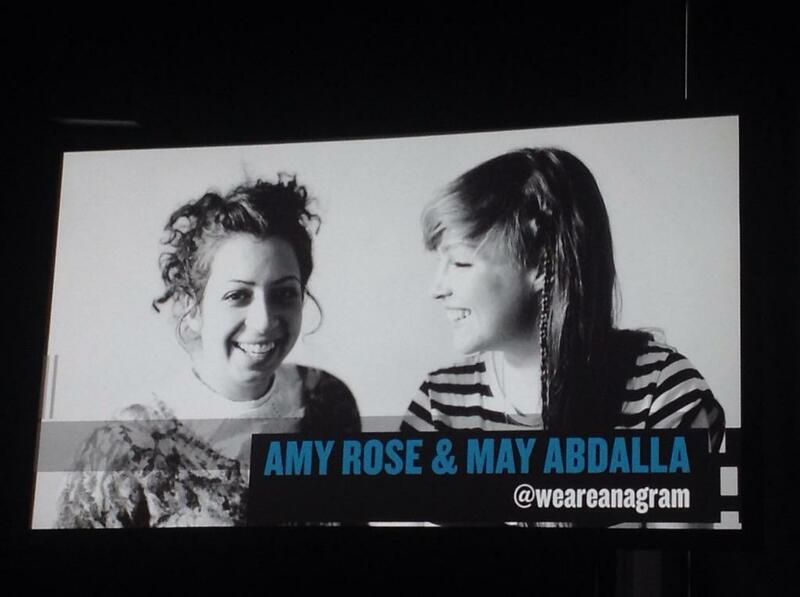 Even more fun, May Abdalla and Amy Rose from Anagram (remember Door into the Dark?) put surprises under everyone’s chair and provoked a conversation about what kind of experience could become part of their next effort. Remember, if it’s interactive, the user is important. Really, really important. So you really, really need to consult them (this is what Paul Ford calls WWIC). This was William Uricchio’s core observation, as the grandfather of DocLab and much more interactive documentary work at MIT’s Open Doc Lab. Creativity is a social process. Being creative in an interactive environment is a user-centric process. And inevitably, as Sandra Gaudenzi noted in the twitter chatter, involving the user also involves you in clarifying your expectations, goals and, um, metrics.